You don’t want to make a big man angry. 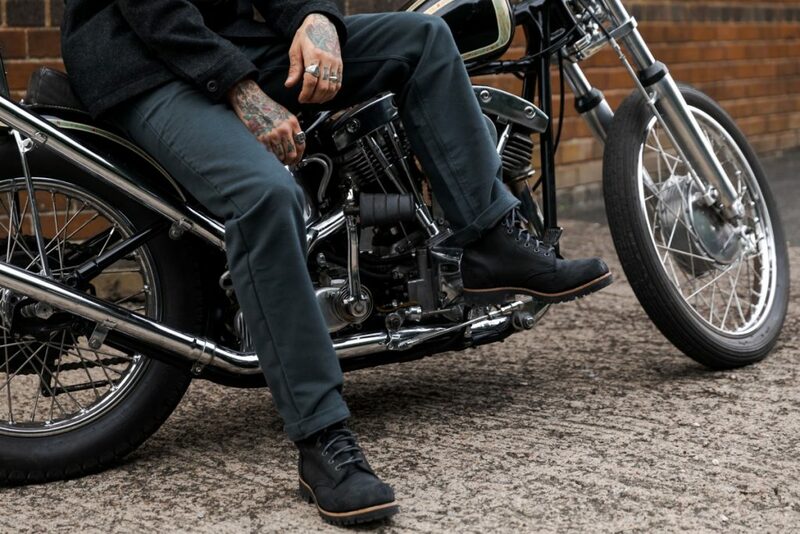 We used to only offer one tapered trouser cut, the 177. Lots of people loved them and continue to do so, but some guys with big calf muscles and ankles couldn’t get the trousers on. If they were wearing boots, there just wasn’t enough room in the leg opening. We also received messages from men with massive thighs who didn’t want to be accused of trying to wear skinny jeans. 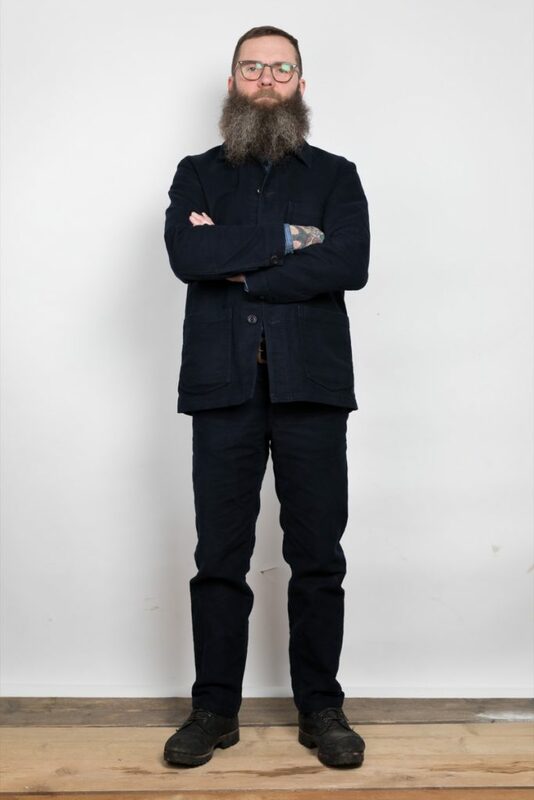 Along with our expert pattern cutter we developed a new cut of trouser and called it the Governor. 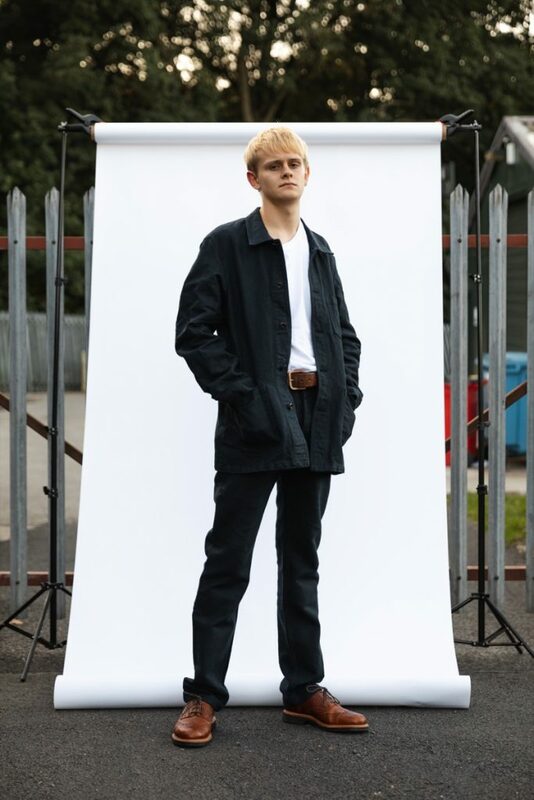 The intention was to make trousers just in the larger sizes but by a happy accident we ended up with a looser straight leg cut that suits everyone. Before we release a new product there’s a sampling stage where the new garment is worn. 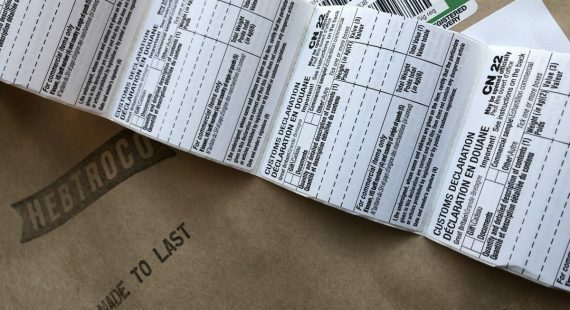 Real world testing ensures that we only put out well designed, properly fitting and durable stuff. 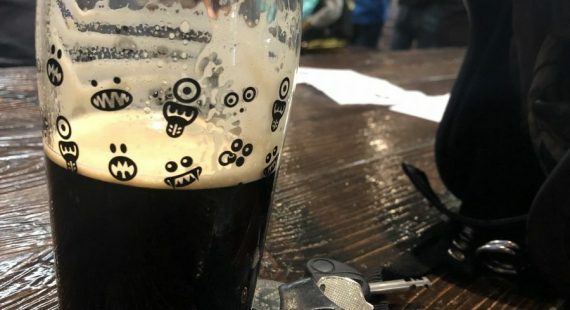 Ed (beard and tattoos) carries out this task. He’s small and has skinny bird like ankles. He’s not exactly a physical Goliath but he loved the new cut and wears them all the time as his first choice. We make the straight leg cut in 12oz moleskin as well as a heavy canvas. 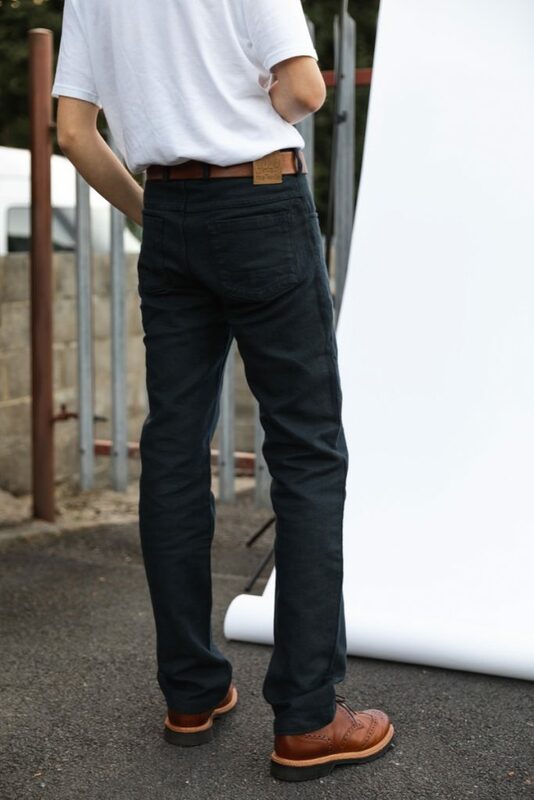 Our size range goes from 30″-44″ waist, with inside leg lengths of 30″, 32″, 34″ hemmed and 37″ with an overlocked seam. As well as the straight leg cut, there’s more space in the “ballroom”, hip, thigh and ankle. Don’t worry though, they’re definitely not baggy “old man” style trousers. They have the cut, style and quality that HebTroCo is famous for. Governors are put together like a pair of jeans with a yoked back panel, patch pockets and run and fell seams on the inside leg. 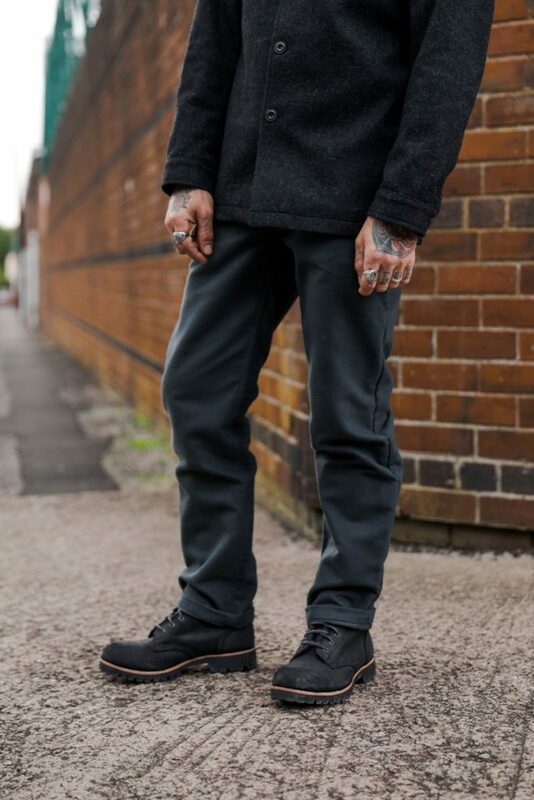 All pocketing is heavy cotton and there’s reinforcing in the bottom of the back pockets and where you push your hand into the front pockets to make them hard wearing. There’s a secret “Coiner’s Pocket” inside the left front pocket and even a subtle, welted tool pocket on the outside left leg, which will fit your multi-tool of choice. British made buttons make up the no nonsense fly. Basically they’re a tough pair of jeans, but made out of cloth that we think is better than denim. Comfortable and hardwearing as well as stylish and just a bit different from the norm. 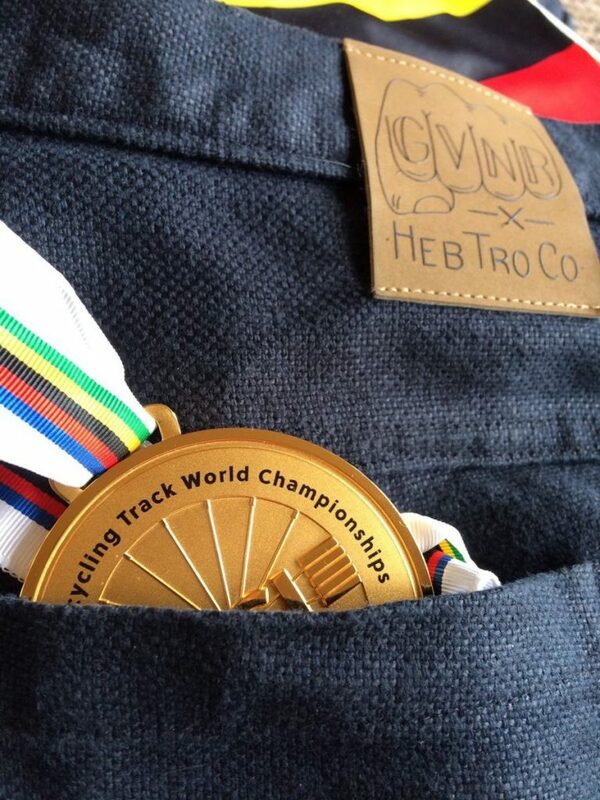 We’re proud that multi gold medal winning Steve Bate, Para Cycling Track World Champion, wears Governors. He has no problem getting his mighty thighs into them. We set out to make trousers just for big men, and ended up making great trousers for everyone. Whatever your size you can be the boss. Stand up and be the Governor.